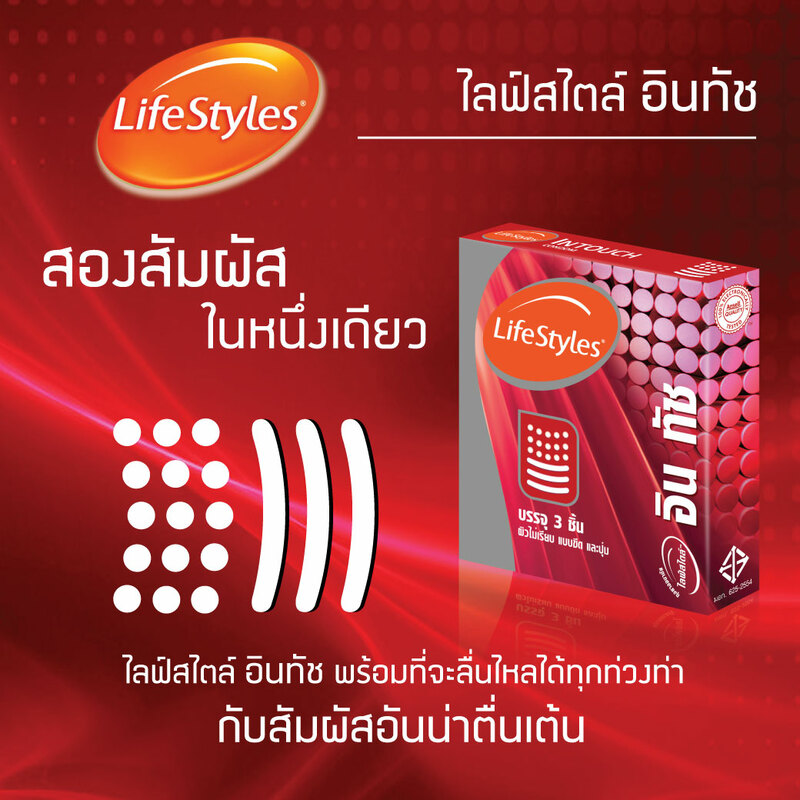 Lifestyle in Touch is a condom with a 52 mm. in size. 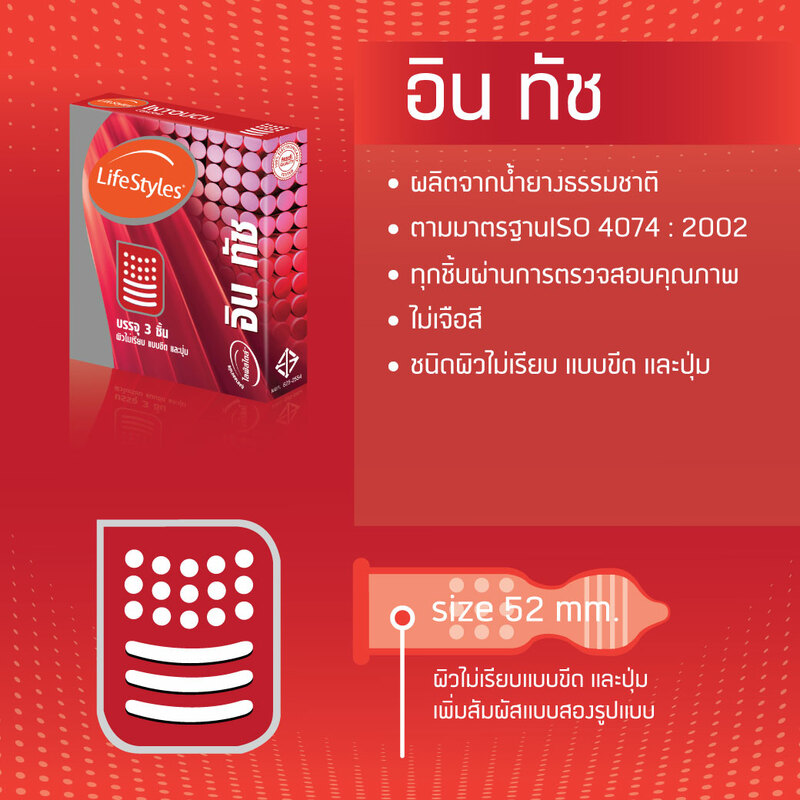 It has a rough surface with knot and ring, without any flavor but contains lubricant. 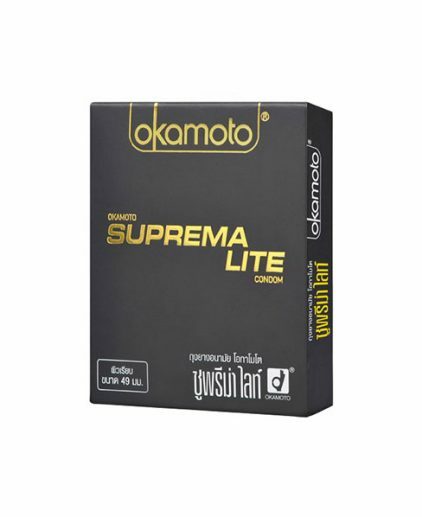 The advantage is the surface of the condom is in a rough texture with knot and ring, so it is able to increase 2 times more of the sexual moods and feelings. This will help increase excitement to every couple and change the night into an unforgettable and extraordinary experience. It will also help with pregnancy protection and sexual transmitted diseases prevention. 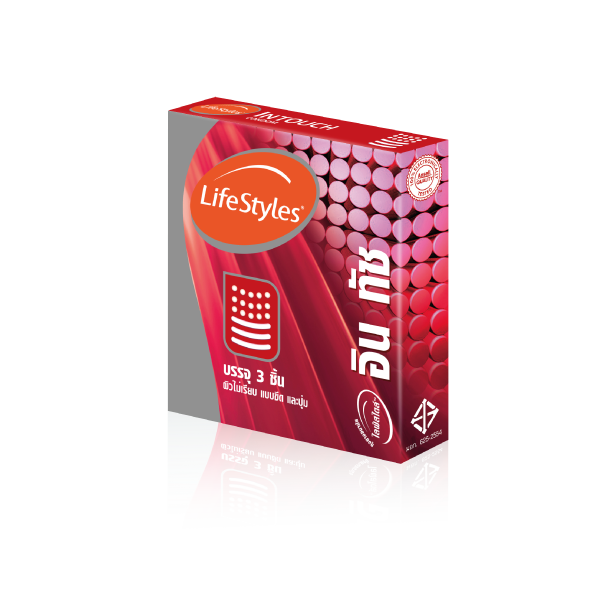 This type of LifeStyles in Touch condom is manufactured by Suretex Co., Ltd and has a FDA registration number of: P 2/2552. It also received the manufacturing standard reward of ISO 4074:2002.